Recently, I ran across a few articles really questioning why we should teach children the Old Testament. All concluding that it should just be skipped. I mean, we as Christians follow Jesus, right? So shouldn’t his life and teaching be what we study? And though I agree, yes, we need to study the life of Jesus, I fear we risk missing a majority of his significance in scripture if we simply skip the Old Testament. We need to teach our children the Old Testament, because it’s relateable, it’s biblical, and it provides context to the life of Jesus. Children are drawn to heroes. And yes there is a lot of “R” rated things in in the Old Testament that you are probably going to want to skip over until later, but that doesn’t mean you need to skip over all of it! And doesn’t mean we can’t share the main idea of a story. Children can look up to David. He was a young boy who saved his country from a giant. 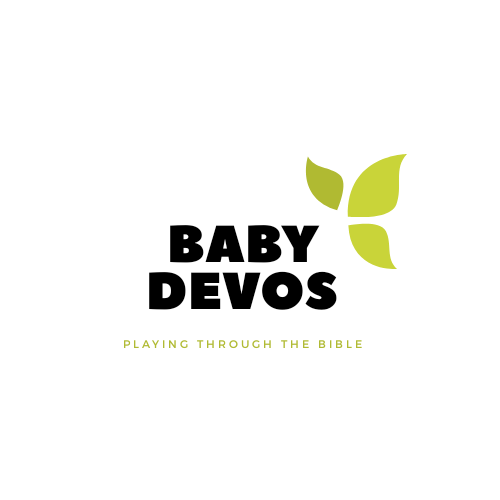 Doesn’t mean I want to go into all the details of his rendezvous with Bathseba with my 2-year old, but I can still teach her to have heart that loves the Lord like David. When the Israelites received these words, all they had was The Old Testament (more specifically, the first 5 books of the Bible). God commanded the people to teach their children the history, so they would not forget their relationship with the Lord. I would dare say it is impossible to truly understand the essence of Christ without at least a basic understanding of the Old Testament. With out knowing the story of Noah, how would you know that the rainbow signified God would provide redemption for our sins, and that way was Jesus. Or with out the Old Testament, how would you know that when Jesus said “I am the Bread of Life” John 6:35, he is referring to himself as “manna.” The significance of manna to the Jewish people, can only really be understood if you have read the Old Testament. Maybe the greatest link between the Old Testament and the life of Jesus is the significance of the curtain tearing at Jesus’ death. This curtain separated everyday people from entering the presence of God. It prohibited relationship with God, because of our sin. But when Jesus died, our sins were atoned for, and the curtain tore, inviting us into relationship with God. The significance of the curtain tearing in Mattgew 27:51 can be missed entirely without a knowledge of the Old Testament. What are your thoughts on teaching the Old Testament? Is it something you plan to teach your children? Why or why not?